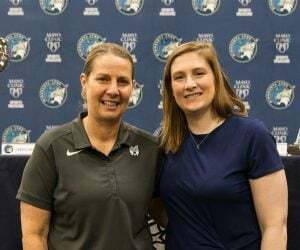 The Minnesota Lynx play their second game in three days when they host the San Antonio Stars on Sunday night in St. Paul. Minnesota enters the game with the best record in the WNBA at 10-1 overall. San Antonio comes in still looking for their first win, holding a record of 0-13. 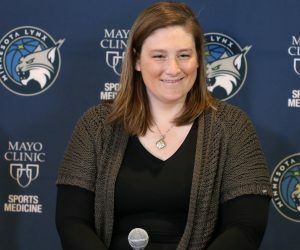 One challenge the Lynx will face in the game includes defending the young and talented guards on the Stars. Kayla McBride leads San Antonio with 15.3 points per game, Moriah Jefferson is averaging 10.2 points and four assists a game and Kelsey Plum, the No. 1 pick in the 2017 WNBA Draft, is finding her groove in her first season. 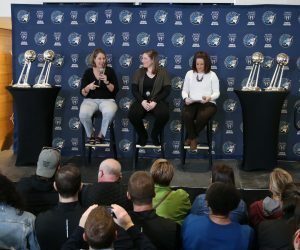 Although it will be a defensive challenge, Minnesota comes into the game as the best defensive team in the WNBA. 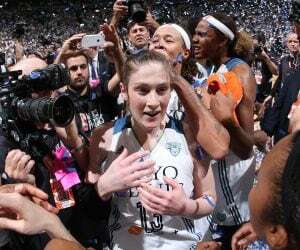 The Lynx have allowed 75.4 points per game and hold a defensive rating of 94.6, both ranking first in the league. 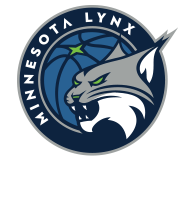 The Lynx and Stars will square off at 6 p.m. tonight at Xcel Energy Center in St. Paul. The game will be aired on Fox Sports North, NBA TV and 106.1 BOB FM.